Dont have the time to write your own content? Need professional assistance? 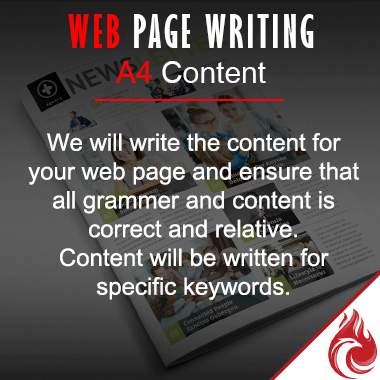 We will write your web page content for you, targeting your requested keywords. Simply send us some examples of what you want to focus on, and let our professional copy writers take care of the rest. The content will fill a full A4 page, with 1.5 line spacing and in Arial 11 pts.